On any given day in America, an estimated 80,000 prisoners are being held in solitary confinement, to either protect them from harm, or to prevent them from harming others. It's a controversial practice which critics say is counter-productive. Tomorrow night, television viewers across the nation will get a look inside the solitary confinement unit at the Maine State Prison in Warren, where the number of prisoners being held in solitary has been reduced by two-thirds in recent years. The PBS program Frontline will air "Solitary Nation," a one-hour documentary directed by award-winning filmmaker Dan Edge. 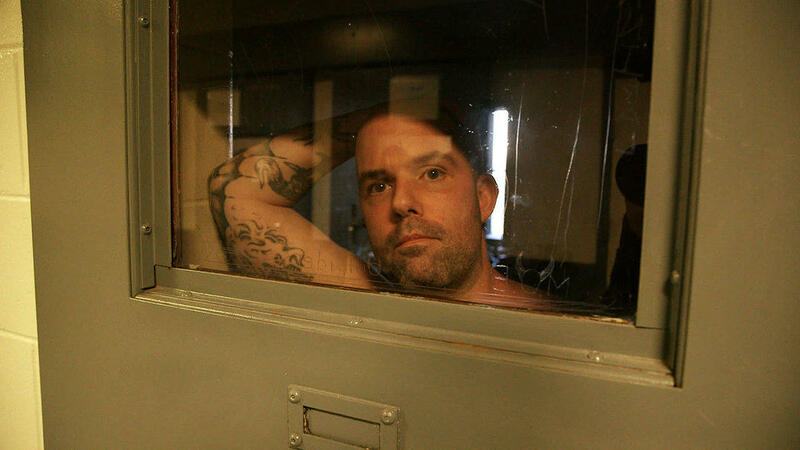 A prisoner in solitary confinement inside the Maine State Prison. Edge and his crew were granted unfettered access to the solitary confinement unit at the Maine State Prison for a number of weeks last winter, and the result is a graphic and up-close look at what life is like for inmates and for the officers. Filmmaker Dan Edge speaks by telephone from Boston about the documentary. Edge's documentary, Solitary Nation, about life at Maine State Prison's solitary confinement unit, aired recently on MPBN Television.